We created Clean Simple Eats to help others find that same inner confidence we have found in ourselves by living a healthy lifestyle. Our goal in creating these meal plans is to help you build healthy habits that will last a lifetime. We are ALL about making your diet a sustainable one that’s enjoyable, satisfying and fun. One that doesn’t seem like a diet at all. Which is why we’ve put a healthy spin on all those delicious, comfort food recipes we all know and love. We’ve used our expertise as nutrition specialists and fitness enthusiasts to balance each recipe with just the right amount of protein, fat and carbs to keep your body fueled and satisfied while still burning unwanted fat. We have four kids of our own and are super passionate about teaching them healthy habits while they are young. These meal plans have been proven to please the pickiest of eaters, bringing families back to the dinner table. We want to encourage you to use these meal plans with your families and teach them that eating healthy can be fun and delicious! We’re here to prove clean eating can be simple and satisfying! This meal plan is not a restrictive, quick fix plan. It is a tool you can use to improve your health for the rest of your life while getting great results! We hope these meal plans find a permanent place in your home like they have in ours. Thanks for being here and letting us be a small part of your journey to better health! WHAT IF I SAID, YOU COULD EAT PANCAKES AND BURGERS AND STILL REACH YOUR GOALS? I know, sounds too good to be true, right? So then would you believe me if I told you that 15,000 other foodies in our Clean Simple Eats tribe have already done exactly that? Not to mention, they’ve completely transformed their minds and bodies in the process. That's why Clean Simple Eats Meal Plans have rocked the typical dieting scene. They will literally change your life! FOR YEARS I HAVE STRUGGLED WITH FOOD AND BODY IMAGE. 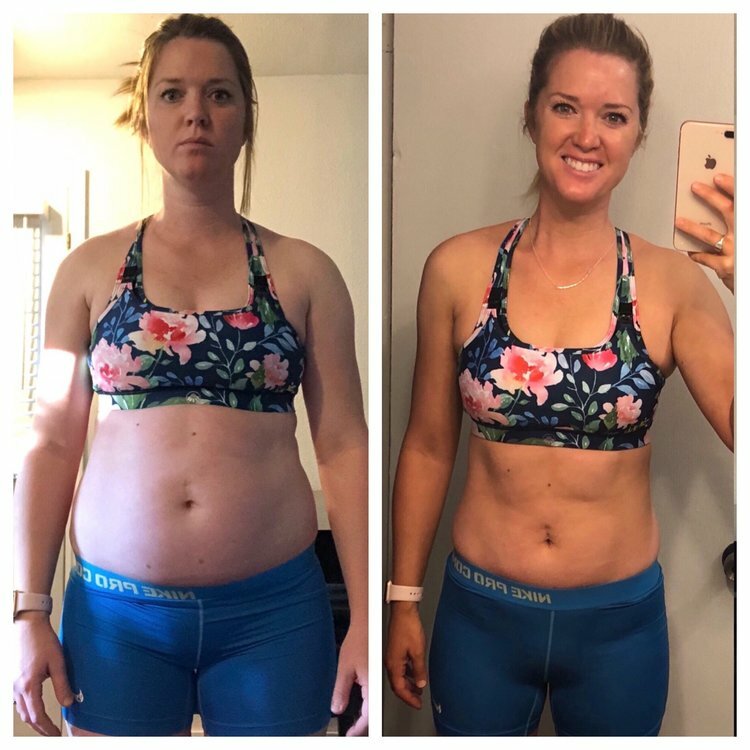 IT IS AMAZING WHAT ONE CAN DO IN 7 WEEKS WHEN THEY PUT THEIR MINDS TO IT! AFTER HAVING MY FOURTH BABY THE WEIGHT JUST STOPPED COMING OFF. I QUICKLY NOTICED A CHANGE IN MY BODY AND MY ANXIETY! THE PAST 6 WEEKS HAVE BEEN LIFE CHANGING! I LOST 23 POUNDS, AM DOWN 16% BODY FAT AND MY MIGRAINES WENT AWAY THE FIRST DAY. If you’re like me, I’m sure you’ve jumped on your fair share of diet plans with bland chicken and rice on repeat and THEN you still have to cook another meal for the rest of your family. And sure! It works- but it’s gross. It’s boring and it makes you flat out grumpy. Is that really sustainable? It’s not for me either! I’m ALL about making your diet a sustainable one. One that’s enjoyable, satisfying and fun. One that doesn’t seem like a diet at all. Which is why I’ve put a healthy spin on all those delicious, comfort food recipes that we all know and love– even your husband will be going back for seconds. I’ve used my expertise as a nutritionist and fitness enthusiast to balance each recipe with just the right amount or protein, fat and carbs to keep your body fueled and satisfied while still burning unwanted fat. AS A BONUS, YOU'LL BE INVITED TO JOIN OUR FACEBOOK GROUP WITH 16,000+ FOODIES! So, if you want to eat delicious & nutritious food, feel good, look good and join a community that has your back... the CSE Tribe is for you! Thousands of people have literally transformed their lives with these meal plans. What are you waiting for?! And if you love the free sample, we’d love for you to join us for the FULL 6-week Clean Simple Eats #CSEChallenge. We run a challenge at the beginning of each season! Click below for more details on how to join.